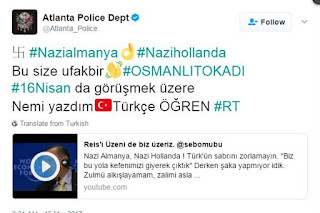 Turkish hackers yesterday, hijacked Hundreds of Twitter accounts following a dispute between Turkey and the Netherlands that saw Turkish immigrants living in Netherlands being prevented from rallying in support of the upcoming constitutional referendum in Turkey. The hackers managed to gain control of the hundreds of accounts on twitter including high profile accounts like the BBC North America, Bitcoin Wallet Blockchain, U-Haul, the French economy ministry, BBC North America, a German soccer club Borussia Dortmund, Justin Bieber's Japanese, The Atlanta police department and so many others Twitter confirmed. 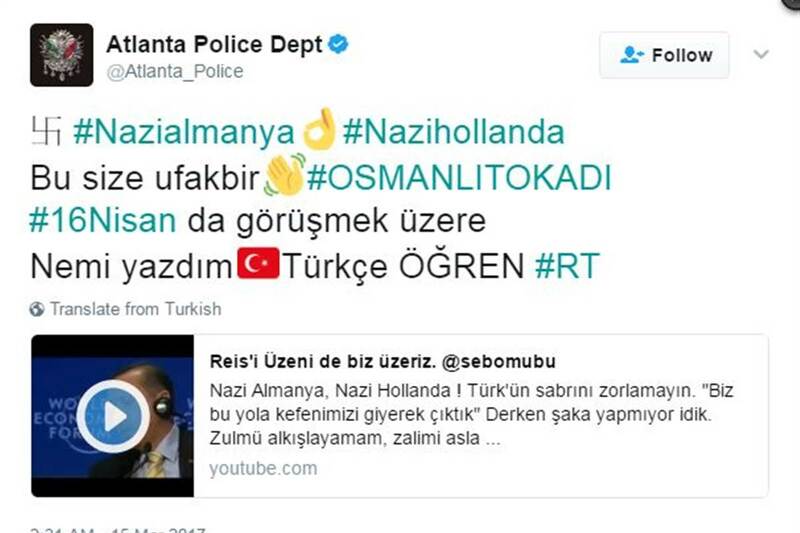 The hackers defaced the compromised accounts with messages referring to 'Nazi Holland" and "Nazi Germany". Others includes videos of the Turkish President Recep Tayyip Erdogan heavily criticizing Holland and other European countries from preventing Turkish immigrants from rallying in support of the up coming referendum which would determine whether to grant Erdogan more political power in the country. Twitter has confirmed the attack and it says that the hackers compromised its analytics service to access the accounts. A Twitter spokesman confirmed the attack and said that the company is currently investigating the case. Turkey recently cut off its highest diplomatic ties with Holland over the referendum that is scheduled to take place next month. The Turkish administration decided to hold rallies across many European countries where many Turkish immigrants are so as to allow them to also participate, vote in diaspora. But the rallies have been blocked in Holland and some parts in Germany which the Turkish President has referred to as "Bandit Countries."